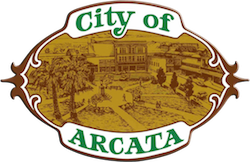 3 Places to Take Your Furry Best Friend | Visit Arcata! Arcata’s sunshiny neighbor to the east, Blue Lake has been home to Mad River Brewery since 1989. Cranking out refreshing batches of Steelhead Pale Ale for the entire nation to enjoy, the brewery boasts a destination restaurant and taproom. Well-behaved dogs on a leash are welcome on the patio, and you and Fido can enjoy live music every weekend. Sunshine, beer, and dogs? That’s a local secret worth sharing. Mad River Brewery, 101 Taylor Way, Blue Lake. At Clam Beach, college students fly kites and campers circle around bonfires at night. 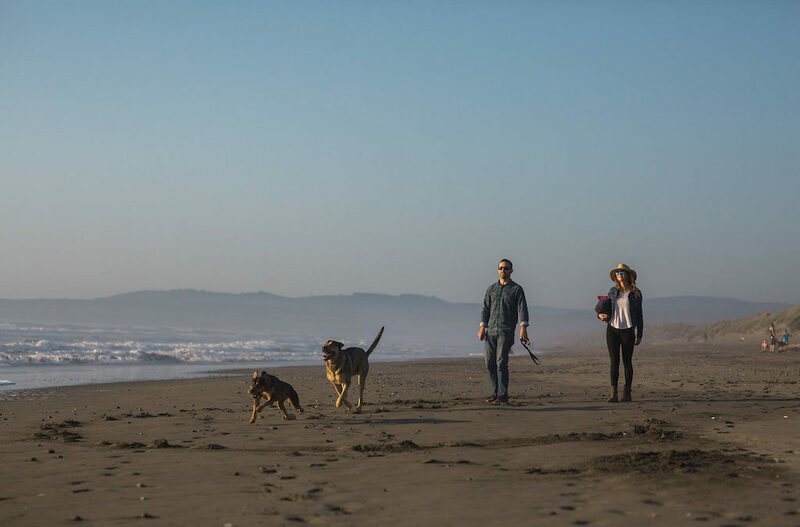 A 10-minute drive from Arcata, the accessibility of Clam Beach can’t be beat, yet the dog-friendly spot is often overlooked by those seeking better surf and scenery. But a simple stretch of sand and waves makes Clam Beach the perfect spot! 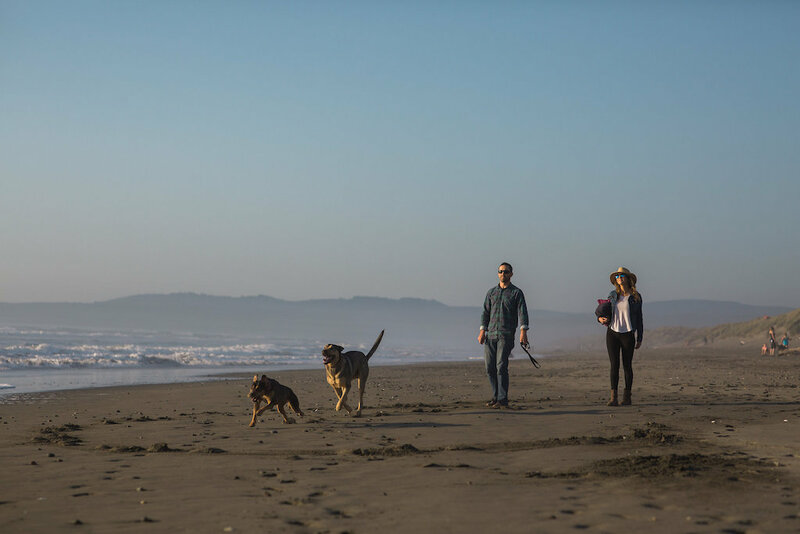 Watching your dog chase seafoam and sand crabs will be a golden memory of your visit to Arcata. Be sure to always mind high surf advisories and keep dogs without ocean experience on-leash until they learn to play safely. With miles of well-groomed trails tucked amid queenly redwoods and emerald ferns, Arcata’s Redwood Community Forest is dog heaven. Access the forest from Redwood Park at 14th & Union, where trail maps, restrooms, and doggie poop bags are well-stocked near the parking lot. Because the 790 acres of woodland trails are shared with horseback riders, cyclists and families, dogs must be kept on leash. A wonderful place to get lost for the morning, the rhythmic pathways and pristine beauty of the forest are unrivaled by any city park. Just ask your dog!